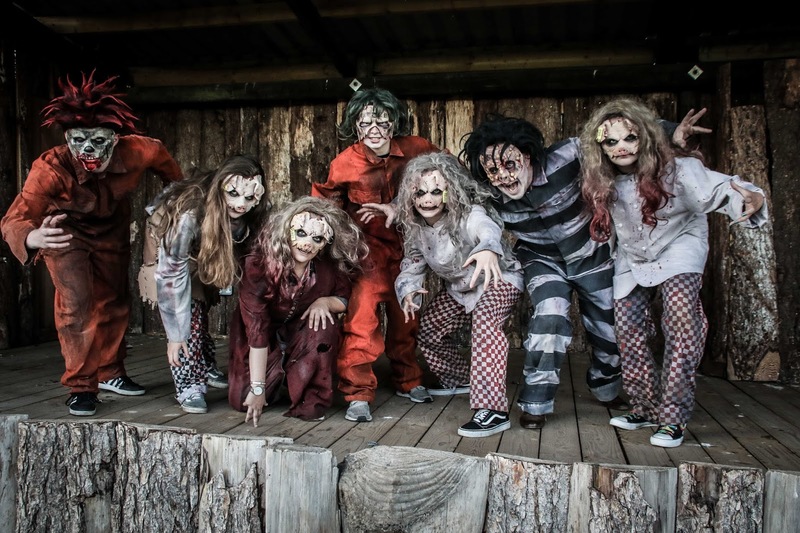 Xtreme Scream Park is one the UK's top scare attractions, winning multiple awards and top reviews from the public who continue to hold the park in high esteem year after year. For those of you who haven't yet had the balls or chance to test your nerve at the attraction then i highly recommend you visit, there website is here: xtremescreampark.co.uk. But before you do i recommend reading my 12 tips on how you can make the most out of your visit to Twin lakes Park In Melton Mowbray a spooktacular one. 1. Where is it and how do i find it? For those of you travelling by car to visit Xtreme Scream Park then i recommend you use the following postcode to find the car park: LE13 1SQ. If you are driving in to the venue then you should be expecting to have to park your car in a field and drive along rough and uneven farm roads. So bring your wellies if it is wet and leave your porsche at home! I recommend you make note of where you have let your car as there is no lighting and there will be hundreds of other cars around you. You can expect to pay £24.99 for an all haunts past online and £26.99 on the door. This extreme scream park pass gives you access to all six attractions. 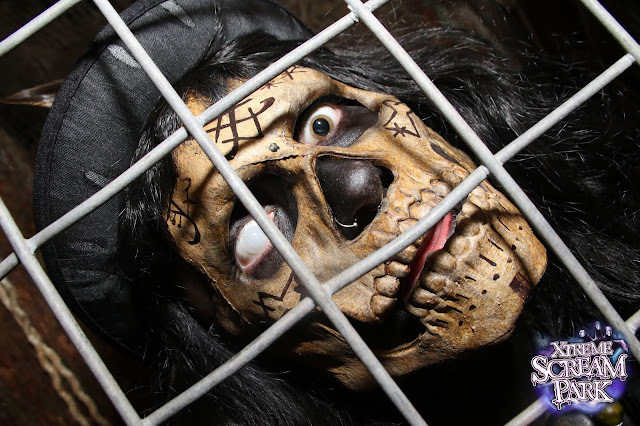 In busier periods and weekends the prices do increase to £36.99.I highly recommend you book online here, as the queues can get very big and the last thing you want to do is lose time waiting to get in when you could be immersing yourself in the award winning scares xtreme scare park has to offer. They do also a chicken pass for those who want to come along for the ride, but not actually experience any of the scares. You should expect to pay £10 for this. For those who plan on visiting more than once then spending £99.99 on an unlimited pass will mean you get your own identity card and you can experience each ride at least once a day. 4. Are the fast tracks tickets worth the money? You can expect to pay £30 online for a fast pass for all six attractions or £10 for one off passes for individual scare experiences. I used the fast pass this year and it enabled us to move through the experience far quicker than a standard pass. For a standard pass you should expect to queue for at least twenty minutes per attraction. 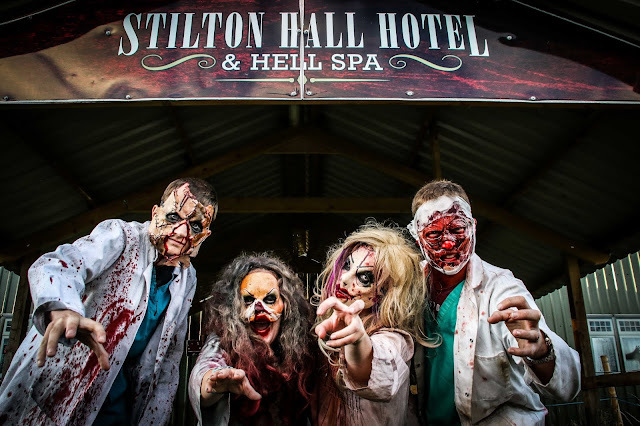 I feel that the pass is well worth the money and it will ensure you can get around of the scare experience at your own leisure and give you the peace of mind that you will get to experience every attraction before the night is through. 5. How scary is Xtreme Scream Park? 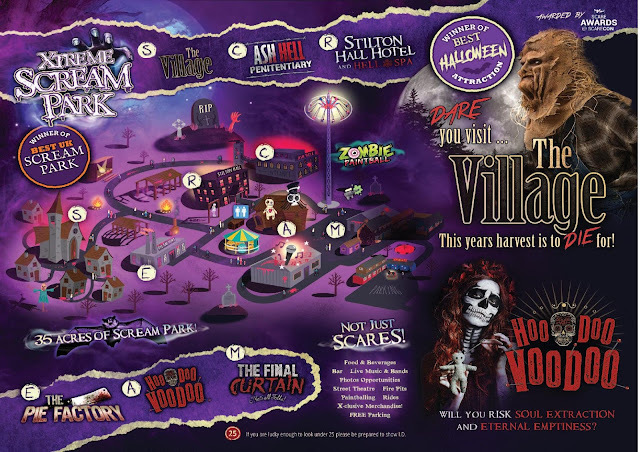 It is one of the UK's best scare park and the average person will find the six attractions very scary. I have been to scare parks around the UK and i jumped throughout every attraction. For those people who are particularity scared of the dark, scary costumes and fake blood/injuries then you will find the experience a difficult, but fun one. 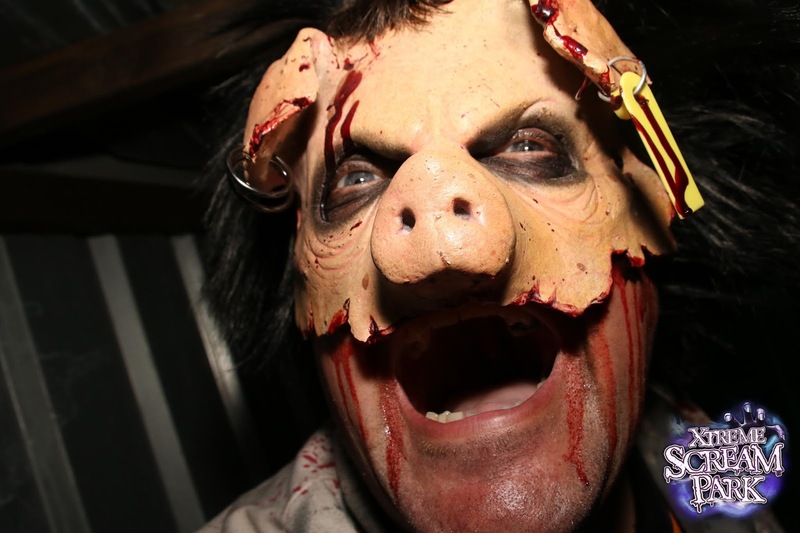 Air cannons, sirens, loud noises, strobe lighting, visual effect and live scare actors all work together to deliver a diverse range of scares. The great thing about Xtreme Scream is the fact they have scares ratings on all their attractions so if you are not too sure or you are just getting in to scare parks then i would recommend testing your nerves on a lesser scary attraction. 6. How many attractions are at Xtreme Scream Park? There are six attraction and they all have different themes and offer different scare experiences. Here is a brief overview of each of the attractions to give you an idea of what to expect, without giving you any spoilers of course!! In 1609 a prison was built like no other. It was specifically designed to house and rehabilitate the criminally insane in particular inmates with cannibal tendencies. Melton Mowbray’s Pie Factory locally sources only the best, prime cuts of meat to produce 100% Manmade Pies. 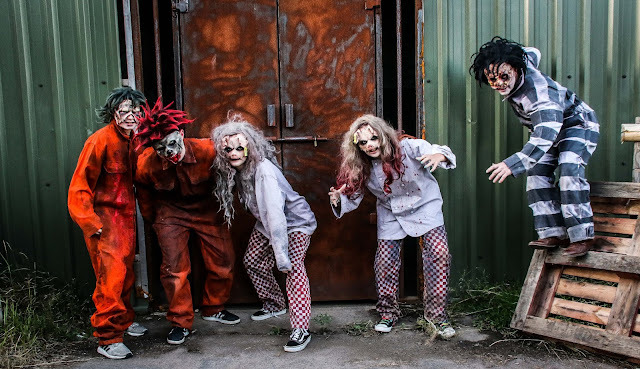 One of our original attractions that is just fun and frightening from beginning to end, if you can find your way out! 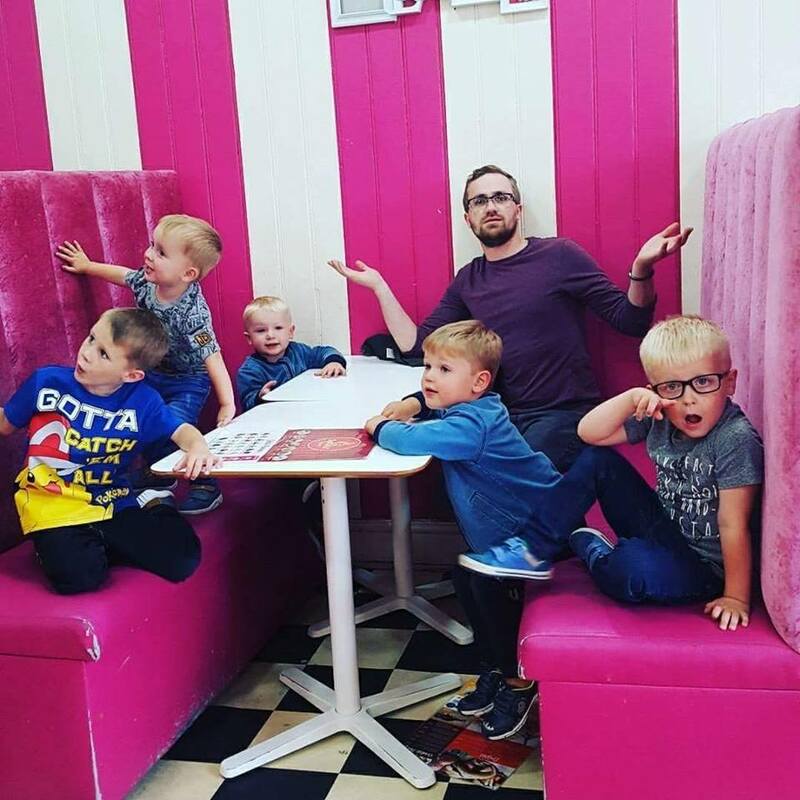 A simple yet effective maze with our friendliest monsters – yep you’ve got it – clowns!! This attraction is changed every year by the Xtreme Scream design team, we hope this year your laugh your head off!! 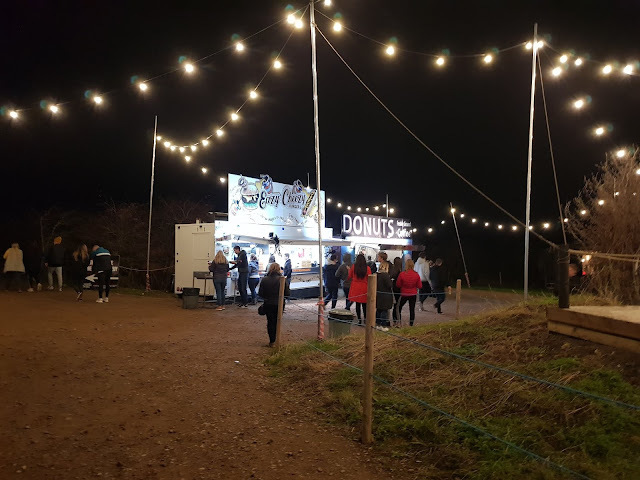 They have plenty of parking, have good access to toilets throughout the park, a good amount of food vans and a well sized bar with lots of seating. There are also a couple of shops dotted around the park selling various foods and gifts. 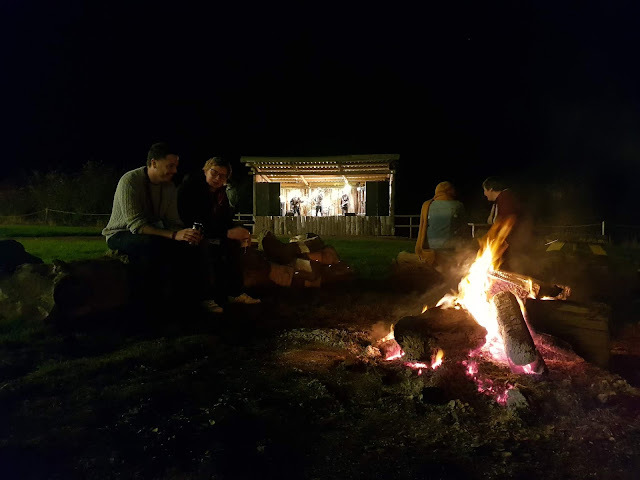 To get a beer or two you can visit the bar at the centre attraction, where you will also find fire breathers, a mechanical pumpkin, a camp fire so you can sit and chill and a stage in which they have live bands playing. So if you fancy a rest then i recommend heading to the centre of the attractions. Also keep your eyes peeled for Zombie paint balling, which wasn't open when we attended but it look incredible. 8. What age is Xtreme Scream suitable for? No children are allowed to enter Xtreme Scream Park and the Minimum age of entry is 16 years. For those between 16 and 17 years of age require an adult to enter. To ensure you get around all of the scare experiences at Xtreme Scream if you have a standard admission tickets then get in as soon as the gates open at seven, so ensure you arrive at six thirty. When you get in head to one of the bigger experiences like Voodoo or the Stilton Hotel. Quickly move on to the other smaller experiences and by the time you get around to the larger and better attractions the queues would have died down. If you want to get the best scares then it all comes down to timing within the attractions. So don't rush take your time and go in smaller groups whenever possible. 10. What should you wear? I would recommend wearing warm clothing; thick coat, wellies, gloves and a hat. You are in the middle of empty fields so it can be windy and it is cold. Most of your time will be spent queuing for the attractions so dress for cold weather. Some of the experience use fake blog and smells so your clothing might brush up against some of it. I had to wash my jacket after the night so please don't wear anything fancy. 11. Can the actors touch me? The actors can touch you, however you do not touch the actors! Some will even stamp(with ink, don't worry!) you on the head and arm on some of the attractions. On the Xtreme Scream Park wesbite they say that by purchasing a ticket and entering their attractions you agree to comply with all rules in full. Anyone showing violent or verbal behaviour towards any actor or member of staff will be ejected from the night and no refund given.